So it turns out the Mister and I are going on an all expenses paid trip next week to an island off the coast of Africa. I bet that got your attention as you’re wondering how the heck we pulled that off. Yes, the good old rewards of market research; you know, my favorite activity outside of watching the King count only using the number two (it’s adorable, although recently he’s thrown in the number five just to mix it up a bit…two, two, two, fiiiive). It all came about when a research firm contacted me (I'm a regular, don't you know) as they were looking for couples with one Yank partner– that would be me – to come in and talk about air fresheners for half an hour. And for this, we would get paid for our time and given tea and biscuits. That’s always the clincher when I’m trying to sell these ideas to my husband. “I know it’s after work, honey, and you’re exhausted, but there will be free cookies!” He usually sighs and comes along willingly. So we show up at this place in South London – another thing I leave out when I tell the husband where we are going as his cells start to shrink when we go South of the river – and they put us in a room and inform us that we’re being filmed. Of course when I am sitting in front of a large mirror and I know a camera is behind that mirror, all I can manage to do is fidget, obsess how crap my hair looks and wonder at what point in my life will I look well slept (the answer is never; I’ve come to accept this). So the moderator is a young, peppy guy from up North and he informs us that he is going to ask us a variety of questions as if we’re on a game show, ‘Mister and Mrs.,’ i.e. how well do you know one another and what’s your favorite this or that. I love this stuff, so they had me at the word go. He starts off with the remedial stuff, favorite color, where did you meet, favorite hobbies etc. and then asks us both what is each others best and worst quality, reminding us that we are still being filmed in case this sparks some sort of domestic that he has to put out with a fire extinguisher. My lovely husband managed to rattle off several of my best qualities (according to the moderator he did this faster than any other husband; which either means he’s very well trained, or the BEST guy ever) and then stopped and pondered a quality in me that was less than stellar. I of course was eyeballing him with a smile on my face, as I could see his brain churning to spit out an answer that was on point, and yet, wouldn’t mean he had to sleep on the balcony when we got home. The funny part is, after telling the man I could be a tad controlling (Me??? Never), later on in the meeting, he went on to describe how he planned our honeymoon, spent weeks trying to pick a hotel that was up to his standards and then when he finally found one, said he was moderately happy with it, but the view of our room wasn’t quite to his liking because he could see a rooftop in the distance and it looked dirty. Controlling? Oh Kettle, how do I love thee. But the best bit was when my dear husband managed to morph into someone I barely recognised; he does this sometimes in certain situations (or when being grilled by peppy northerners) and he hysterically turns into this incredibly formal, reserved individual. If you knew my husband aka, ‘Gregarious, Goofy the Clown with a laugh like a Hyena’, you’d understand my surprise when he turns into Tony Blair. So we were asked our favorite food and music. I rattled off my usuals and was eagerly waiting to see what my husband would say when it comes to food, as the man loves food. LOVES food. He rivals the King in his capacity to eat, and as far as I’m concerned, he’s never met a food group he doesn’t like, aside from some of the freaky Californian stuff I make from time to time. So the guy asks him what his favorite food is and he just looks at him and say, ‘I don’t know really, I don’t really have one.’ I of course look at my husband wondering what alien had inhabited his body. He then pauses, hems and has, and goes back to the fact that he really doesn’t have a favorite food, despite me chiming in (controlling, me? Never) with all the things he eats over and over and over in a given week as if its scripted. He just silently shrugs like he is some monk that lives on the power of sunshine and occasionally treats himself to a raisin to really live large. After several minutes the moderator finally pushes him for an answer and he responds that well, he guesses it would be, I don't know...a scone. 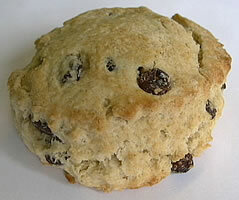 A scone: a hard dry lump (that can be damn good when done right, but seriously?). Anyway, to our delight - and utter surprise - we were chosen to go and will be flying to some island I cant pronounce to be filmed a half hour a day, talk about air fresheners (I’m assuming), in between laying on the beach like two exhausted, pale…well, scones. And don’t you know I will be blogging about that when we return.